I've got a new Noah Milano story appearing at Beat to A Pulp. Go check it out! Also, I'm being interviewed over at the blog Kindle Author to promote Tough As Leather, my short story collection that has just come out on Kindle. Tough As Leather - The Noah Milano Collection on Kindle! Cool news! Tough As Leather, the Noah Milano collection is now available on Kindle at www.amazon.com. 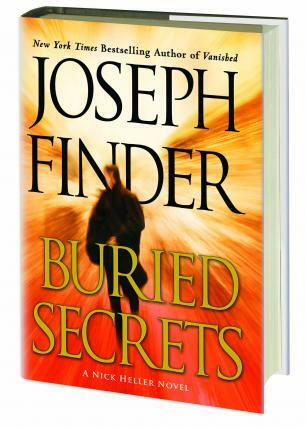 Joseph again mixes the PI novel with the more standard action thriller with great success in his second Nick Heller book. Private spy Heller is asked by an old friend to track down his missing daughter. It turns out she's been buried alive, hence the title. Employing all his special army skills and contacts in the financial world Nick uncovers a political scandal and takes on some dangerous (Russian) bad guys. The writing is very fast-paced, real Hollywood movie material and the ticking clock enhances the suspense. What I also liked is the fact the story really feels ''modern'', with the technology being in the now as well as the way the kids are being portrayed. This is the kind of stuff that shows the PI novel has a way to exist in the future and doesn't need to be outdated. If you are anything like me, you may find video games frustrating and time-draining. Although, to be fair, many would say that reading detective fiction and watching noir mysteries is just as much of a pointless endeavor as is anything in life. And to these people, I say, screw you. Now despite not enjoying video games, I am open to trying new things, so when my friend told me I'd love a new Play Station 3 game entitled LA Noire, I said I'd give it a try. And, oh how right he was. Although it took me awhile to adjust myself to controlling the game, being familiar with the private investigator/detective fiction genre definitely helped me attain fluency with the game that would be difficult for others who are not as well versed. What is great about this game, and many newer games in general, is that it basically functions as an interactive movie, complete with differently angled shots, dialogue, plotlines, and well-developed characters. It's been said that LA Noire is the equivalent in length and character development of a detective television show of two seasons. The main character, Cole Phelps, is the detective whom each player assumes as an avatar. Phelps is an LAPD officer in 1947 Los Angeles, back when Hollywood was glamorous and fun, but also when corruption and crime were rampant. 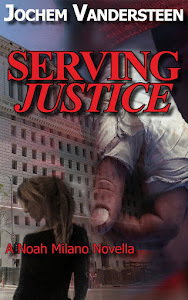 Phelps, a World War II veteran, hopes to rise through the ranks of the police department in order to seek justice and alleviate his guilty conscience after war crimes committed in the past. Throughout the game, you'll be engaged in various tasks. You'll drive a car with your partner, arrive at the crime scene, and search for clues. After finding and noting clues that shed light on details of the crime (which are homicide, vice, or arson-related), you'll be off to question witnesses and other persons of interest. Questioning characters is my favorite part of the game, but it requires that you read facial expressions and body language in order to decipher whether or not they are lying. Although Phelps asks fixed questions, you are given the option of choosing "Lie," "Doubt," or "Truth." Phelps' questions and demeanor change based on your selection, with the "lie" option being most accusatory. If you are wrong about the lie, a person of interest can get turned off or frightened, and you'll lose some key evidence. There are several more facets to the game, including optional dispatches in which you are called to a different scene, like a bank that's being robbed. In these instances, the game turns into a traditional shoot 'em up game. Although the game was released in Australia and a few other countries last year, in America, it was released only a few weeks ago to glowing reviews. Most reviewers noted that the style and ambience of the game perfectly evokes the epoch and the genre. Critics also praised the incredibly detailed facial expressions of the characters, and it is said to use the most advanced CSI available. That the storyline is interesting and cohesive, and the characters are very three-dimensional is another aspect of the game that I find commendable. Still, the game is not without its flaws. Many times the clue searches can be a bit too contrived, and driving can be clunky and counterintuitive. Many gamers have complained that the game has its moments of monotony, with long, filmic shots between the action. However, for those of us who are more interested in the detective genre aspect of the game, these issues should not present themselves as problems. For a more detailed review of the game, check out this Guardian appraisal. Author Bio:Nancy Farrell is a freelance writer and blogger. She regularly contributes to the criminal justice degrees, which discusses about child abuse, human rights, divorce, and crime related articles. Questions or comments can be sent to: nancy.farrell13@gmail.com.